The cactus trend has really spiked our interest and we’re delighted to now offer the Cactus Fennel curtain from Prestigious Textiles. This charming trend strikes the right balance between quirky Tropical and understated Organics, both of which have been staples on the interior design front for the last few seasons. Cactuses can be introduced into the home in their ‘real’ form, adorning windowsills, shelves and desks with their interesting shapes and little pops of colour. But their forms are also being used to adorn other homewares, from ceramics to soft furnishings. This fun design trend is the perfect way to bring playfulness into your home whilst maintaining a cool, eco-friendly edge. 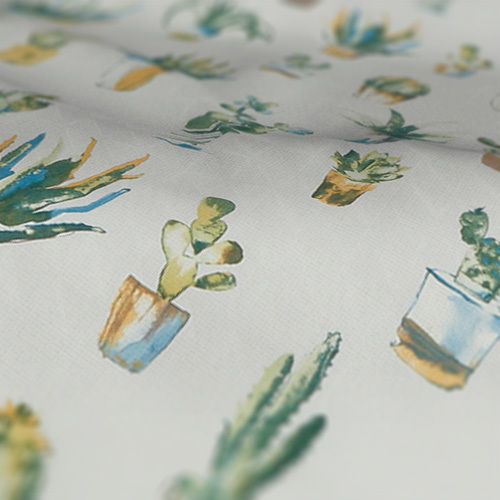 Cactus curtains will work brilliantly in the bedroom or your home office. You could also try a cactus Roman blind for a modern alternative to curtains. And don’t forget the coordinating cushions! English country style is a real classic and will always be deserving of a spot on our seasonal trends list. 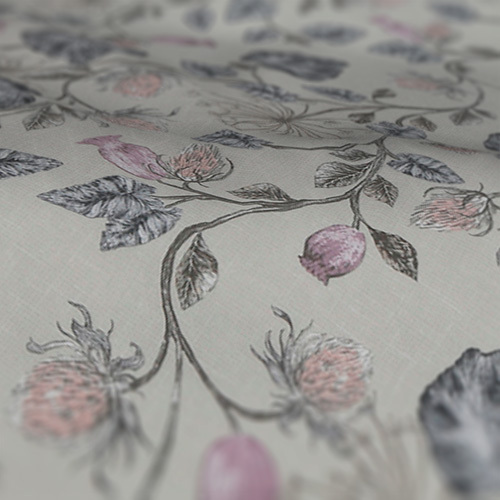 At Custom Curtains, we stock a wide range of fabrics in the English Classic style, featuring florals, stripes and sketchbook prints in lovely neutral tones. Our Parchment Feather curtain is a prime example of this timeless trend. Utilising a simple colour scheme of grey, pink and purple, it showcases a sophisticated thistle print that’s undeniably British. English Classic designs are two-fold, simultaneously achieving warmth and grandeur, comfort and sophistication. This makes them the ultimate option for your living room, Master bedroom or the guest room, where you’re sure to benefit from cosiness with a touch of luxury. The muted palette of this trend will also tone well with most furniture styles, so your space will continue to feel cohesive and elegant. We can’t remember a time where Scandi style wasn’t top of the design charts. This season, the trend has been rejuvenated with bright colours and big shapes, reminding us of its playfulness and true versatility. Cool Scandi is a style that’ll work in every space in the home, whether you’re planning a kitchen refresh, a bedroom makeover, or you want to brighten up your bathroom. The trend can be channelled in a variety of ways, including ceramics, rugs and of course, window blinds and curtains. 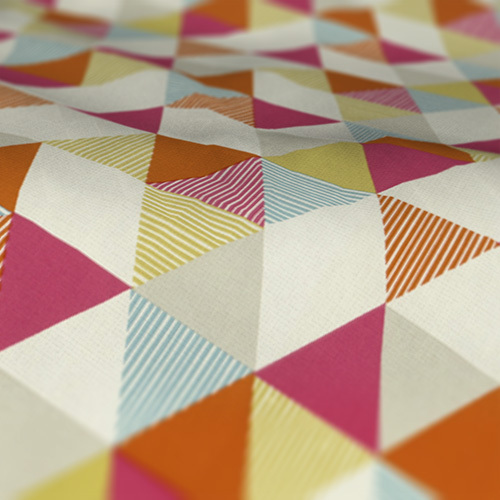 Our Brio Summer curtain from Studio G is one of our favourite products that encapsulates Cool Scandi vibes, its geometric triangles boasting a summery assortment of hot pink, deep orange and mustard yellow, punctuated by clean white, soft grey and sky blue. It’s safe to say that Scandi style will never go out of fashion, and by welcoming this fresh take into your home, you can make the most of a cool and colourful trend this season. The newest neutral to hit the basics palette is sage, a greyish green tone that still speaks to our natural, outdoorsy desires despite its desaturation. Sage is a soothing shade that gently nudges us towards nature without the noise and vibrance of brighter greens. Its soft approach means it works well in bedrooms, as well as bringing a comforting touch to kitchens, especially when selected for paintwork and cabinetry. 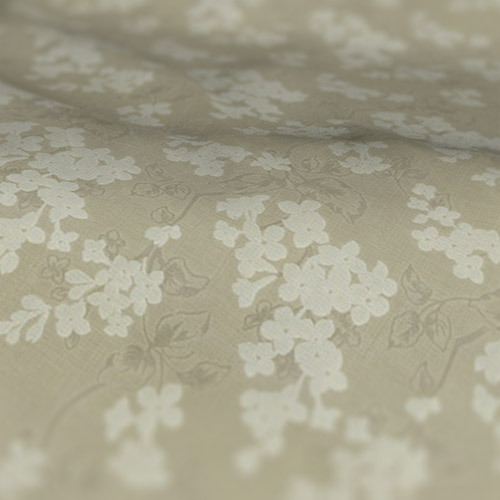 As a soft fabric, sage manages to combine warmth with a fresh airiness, making it ideal for curtains. Our very own Clarendon Sage curtain from Clarke & Clarke is a great demonstration of sage’s affability, providing the perfect base for a simple white design. In terms of other coordinating tones, try cream, blush pink or grey, or a bolder combination of charcoal grey and turquoise to elevate your sage style. A powerful shade of purple was named Pantone’s colour of the year for 2018, which has inspired the growing popularity of other blue-pink colours. Mauve is a firm favourite; this soft shade, which sits neatly between lilac and dusty pink, has become a trend in its own right. The reign of Ultra Violet has inspired us all to stop and consider purple more seriously. It is a colour of creativity and conflict. Consisting of two opposing hues – red and blue – it is inherently multifaceted. With its redness comes excitement, whilst its blue tones are more calming. Purple suggests imagination and wide possibilities, as well as reminding us of wealth and power. The Ordesa Mulberry curtain takes these dichotomies to the next level, introducing pink into the mix. 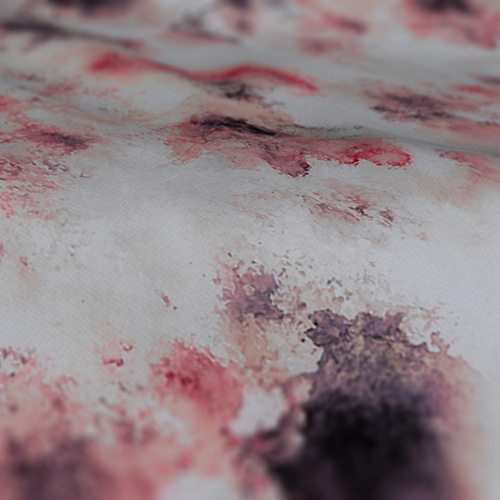 The forest-inspired design is a great way to bring the modern mauve trend into your home, combining subtle botanicals and rosy hues with an eerie painterly style. Liquid and lava patterns are making a splash this season, bringing movement into our homes in the way of swirls, waves and bubbles in vibrant colour combinations. This liquid effect is reminiscent of the agate and marble we’ve been enjoying for the last few years. Peaceful yet powerful, it’s a contemporary way to enjoy touches from the natural world. Mother Nature needn’t only be welcomed inside in the form of foliage prints and shades of green, after all! The Lava Platinum curtain here at Custom Curtains is an awesome representation of liquid and lava trends. 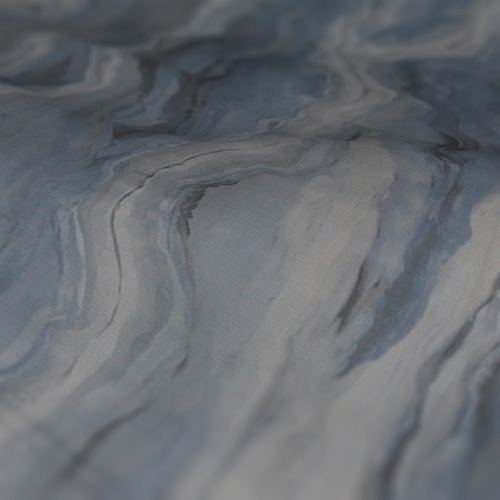 Its gently rippling design in shades of blue and grey is a modern approach to marbling. The design is also available in Alabaster and Teal, so you can select the right lava-inspired dressing for your windows. Would you like to know more about curtain trends? Follow Interior Goods Direct on Instagram and Twitter for regular updates and plenty of inspiration. You can also shop our full range of custom-made curtains here.